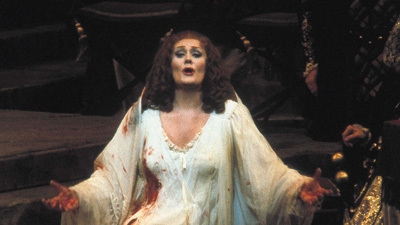 Donizetti’s best-known opera is also one of the most popular. 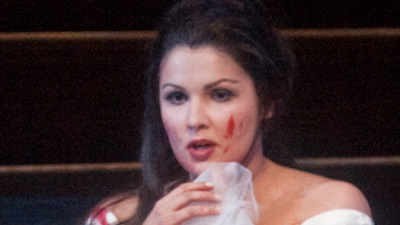 Audiences swooned over the unjust plight of Donizetti’s Lucia (Mariella Devia), whose brother Enrico (Juan Pons) makes her renounce the man she loves, Edgardo (Jerry Hadley). She’s forced into marriage, but goes insane on her wedding night, and in the riveting mad scene, still holding the bloody dagger with which she killed her bridegroom, she can finally voice her true emotions. “Spectacular” doesn’t begin to describe it.